BLEPP 2015 is scheduled this coming July!!! 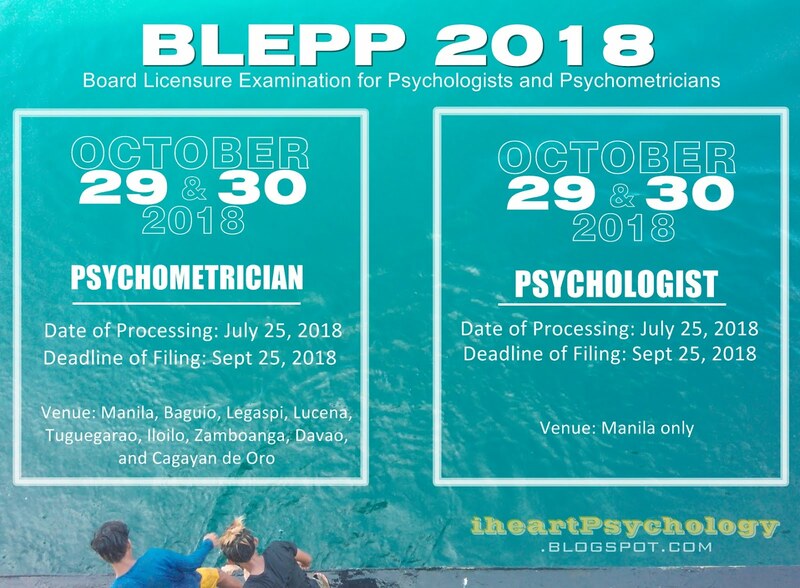 PRC just released the schedule for the next Board Licensure Exam for Psychologists and Psychometrician (BLEPP) and it's only 7 months away. It was also announced during the 4th Oath Taking for Psychologists and Psychometricians last December 9, 2014. So, the licensure exam for psychometricians would be on July 21 & 22, 2015 and the licensure exam for psychologists would be on July 23 & 24, 2015. OMG! We really have to review this early and process our papers now so we'll have plenty of time in case there would be problems. Goodluck everyone!